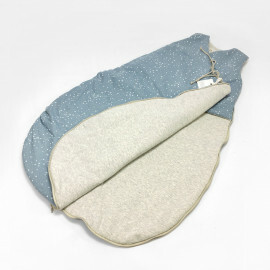 Padded sleeping baby bag with soft knit interior. Ideal to keep the baby warm at night thanks to its light padding. Closes with lateral zipper. Can be used from the third month up to one year. During winter. we recommend to cover the baby with one of our super soft fleece blankets. Exerior in printed fabric. Interior is in grey beige knit. 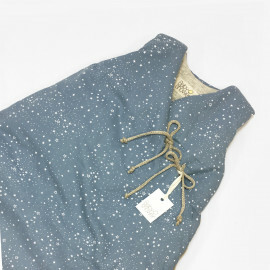 Padded sleeping baby bag with soft knit interior. Ideal to keep the baby warm at night thanks to its light padding. Closes with lateral zipper. Can be used from the third month up to one year. During winter. we recommend to cover the baby with one of our super soft fleece blankets. Exerior in printed fabric. Interior is in grey beige knit. DIMENSIONS: 70 x 45 cm PRODUCT CARE: washing machine up to 30C gentle cycle. Do not tumble dry. Can be ironed at low temperature. Saco poner a dormir al bebé dentro de la cuna y evitar que se destape durante la noche. Disponible en tres tonalidades. 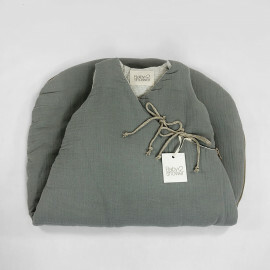 Padded sleeping baby bag with soft knit interior. Ideal to keep the baby warm at night thanks to its light padding. Closes with lateral zipper. Can be used from the third month up to one year. During winter. we recommend to cover the baby with one of our super soft fleece blankets. Exerior in printed fabric. Interior is in fleece fabric. 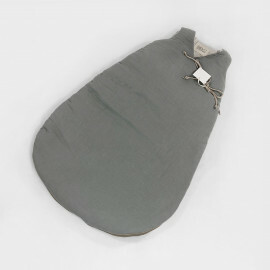 Padded sleeping baby bag with soft knit interior. Ideal to keep the baby warm at night thanks to its light padding. Can be used from the third month up to one year. 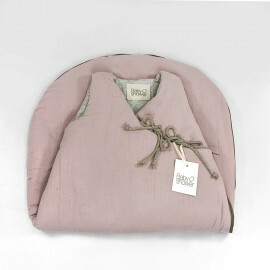 During winter, we recommend to cover the baby with one of our super soft fleece blankets.